Windows 10 becomeing a Recommended update, might possibly install automatically if Automatic Updates are enabled. First off, I would not post this unless I was sure this wasn’t a hoax. But I’ve seen it reported on enough different sites to believe it to be a legitimate story. For the last several months Microsoft has been pushing Windows 10 on Windows 7 and 8 machines. I have been getting the pop up for the free upgrade for a while. I have not upgraded because I play a lot of older games like Fallout 3 and Jedi Knight 2 that in some cases i’ve had to fix just to get in Windows 7. I know Fallout 3 has issues with Win 10 as i’ve tried it on my new laptop. So I have ignored it. It appears as if Microsoft is starting to get more aggressive in getting people to upgrade. This whole time, Windows 10 has shown up as an Optional Update in the Windows Update Control Panel. The development sees Microsoft follow through on its controversial October roadmap which said Windows 10 would have its status changed in 2016 to become a ‘Recommended’ upgrade in Windows Update. In basic terms this means anyone who uses Windows 7 or Windows 8 with default Windows Update settings (the vast majority) will now see Windows 10 begin installing by itself. Mary Jo Foley with ZDNET reported the same thing. In October, Microsoft execs said the “reservation” phase of upgrading to Windows 10 had ended. That phase of the upgrade push involved users proactively “reserving” their free copies of Windows 10 for download.The next phase of the push was to mark Windows 10 as an “Optional” update in Windows Update for all Windows 7 and 8 customers. After that, Microsoft officials said in early 2016 they’d re-categorize Windows 10 as a “Recommended” update.Officials did concede that users with automatic updates enabled might see the Windows 10 upgrade automatically initiate on their devices. But they said that users would not be fully moved to Windows 10 unless they proactively chose to do so. And if anyone does move — intentionally or inadvertently — to Windows 10 and are unhappy with it, they have 31 days to roll back to their previous Windows versions.Microsoft is not changing its policy of downloading part of the Windows 10 code proactively to users’ machines to make upgrading faster. The company is continuing to do that, in spite of complaints by many. 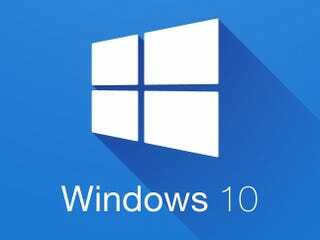 However, unless users make the final decision to hit upgrade, Windows 10 will not completely install and replace their existing Windows versions. To be honest, i’m not sure what to make of that report. From reading it over and over, it looks to contradict itself. That said i’m seeing reports from a variety of different websites, including long standing tech giant Slashdot about this. I have not seen any reports from Ars Technica or Gizmodo yet. I have also not seen anything come up on Snopes.com about this being a hoax, but something may come up later and if so, I will update accordingly. I am writing this because I feel that people need to be made aware of this and decide what to do for themselves. FWIW, when i checked the Updates on my Win 7 Desktop I saw nothing for Windows 10 under Optional or Recommended. It may just not have been phased in my market yet. However, I have been getting the pop up this entire time. I will not be upgrading no matter what, and I may considering downloading CWX Control Panel a program that says it will disable the registry settings that make the pop up appear. I have disabled Automatic Updates for the time being until this gets sorted out. I have lived without whatever has been listed there for the time being. You will have to decide how to proceed yourself.